Influenza (flu) is a leading cause of illness and death for those over 65. Natural declines in physical activity and slower walking speed have been associated with reduced response to vaccination and post-vaccination influenza infection. Fortunately, improvements to the flu vaccine have been made with the addition of a substance called an adjuvant, which increases the body’s immune response to the vaccine. On average the overall flu vaccine effectiveness in preventing illness is about 60%. People who develop the flu despite receiving the vaccine typically experience symptoms that are milder, last for a shorter period of time and have a lower probability of complications than those who have not been immunized. Despite this lack of guarantee with the flu shot, it’s still best to get vaccinated to improve your chances of avoiding the flu and its many complications. Shingles can affect people of all ages, but it is most common in those older than 60 or those with immune systems weakened by medication or disease. Shingles is a painful rash with blisters, which is caused by the same virus as chickenpox. It affects about 1 in 3 people. About 1 in 5 people with shingles will get a condition called post-herpetic neuralgia (PHN) that causes pain or discomfort to continue even after the rash goes away. This pain can last for months or even years, and makes it difficult to sleep. It may also cause weight loss and can lead to depression. People can reduce the chances of getting shingles by having the shingles vaccine called Zostavax. The vaccine reduces the risk by 51%. For those who still get shingles despite being immunized, the vaccine can decrease the duration and severity of symptoms. It also reduces pain, including the pain that lingers. The shingles vaccine reduces the occurrence of post-herpetic neuralgia by 67%. Individuals with a previous episode of shingles should still get the vaccine (one to three years after the last episode). 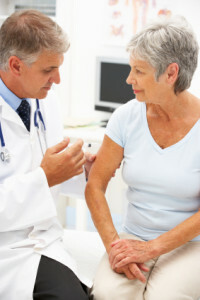 The shingles vaccine is recommended for people 60 years of age and older, however anyone over 50 years of age can get the vaccine. Another high-risk illness for those over 65 is pneumococcal disease. It’s an infection caused by bacteria called Streptococcus pneumoniae. There are over 90 types of this bacterium, with the most severe caused by 10 types. The bacterium S. pneumoniae causes ear infections, sinus infections, pneumonia (lung infections), as well as meningitis and blood infections. Approximately 1/3 of all pneumonias outside of the hospital are caused by pneumococcal disease. It’s common for people to carry pneumococcal bacteria in their nose and throat without developing symptoms. However, bacteria can be spread through coughing, sneezing or direct contact like kissing or sharing utensils. A person is capable of passing the infection to others as long as the bacteria are present in the lining of the mouth, throat and nose. There are two vaccines available to protect against invasive pneumococcal disease that can result from an infection with S. pneumoniae: Pneumovax-23 and Prevnar 13. Pneumovax-23 is provided free of charge to every person over the age of 65 or to younger adults with medical conditions that put them at high risk for complications. It protects against 23 types of the bacteria. 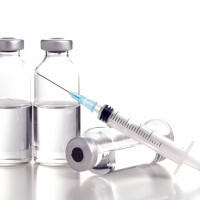 It’s an older technology vaccine that is only effective for three to five years and may not boost the immune response with subsequent shots. Prevnar 13 is a newer technology vaccine that provides excellent protection against 13 types of the S. pneumoniae bacteria. It protects against 12 of the 23 types in Pneumovax-23, in addition to one more type not included in Pneumovax-23. It’s a more effective vaccine than Pneumovax-23 because it lasts longer, reduces carriage rates and helps prevent deeper tissue infections. To discuss any of these vaccines in more detail or to receive them, please schedule an appointment with your Copeman Family Health Nurse or Family Health Nurse Practitioner. Not currently a Copeman client?